During my recent trip to the UK, I took several long weekends to Europe to drink some wine, experience culture, history, architecture, and of course, eat some amazing food. 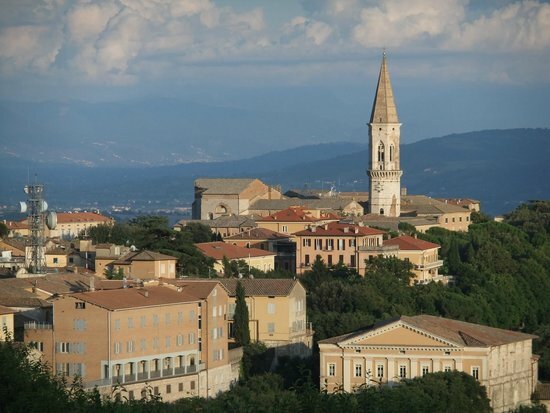 On this adventure I chose Perugia, the capital of Umbria, in Italy. I booked my journey through www.lastminute.com as they had some great offers. 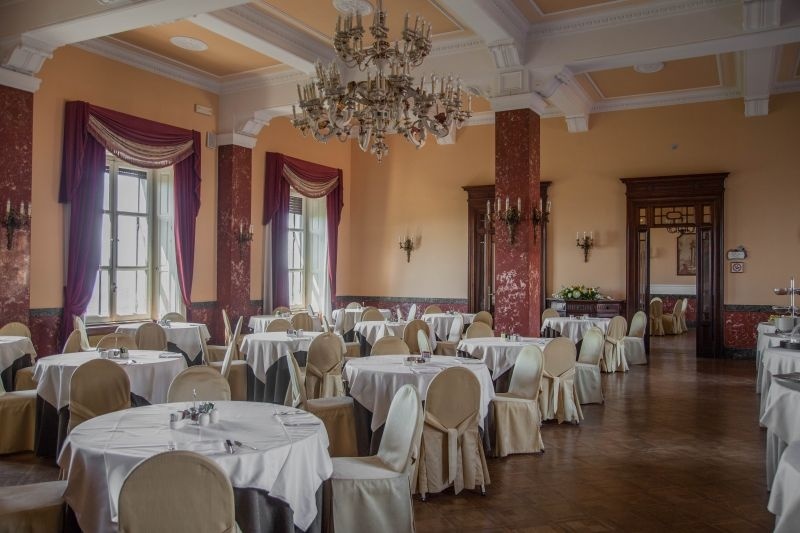 I found a last minute deal featuring the beautiful 5-star Sina Brufani Palace Hotel and snatched it up. 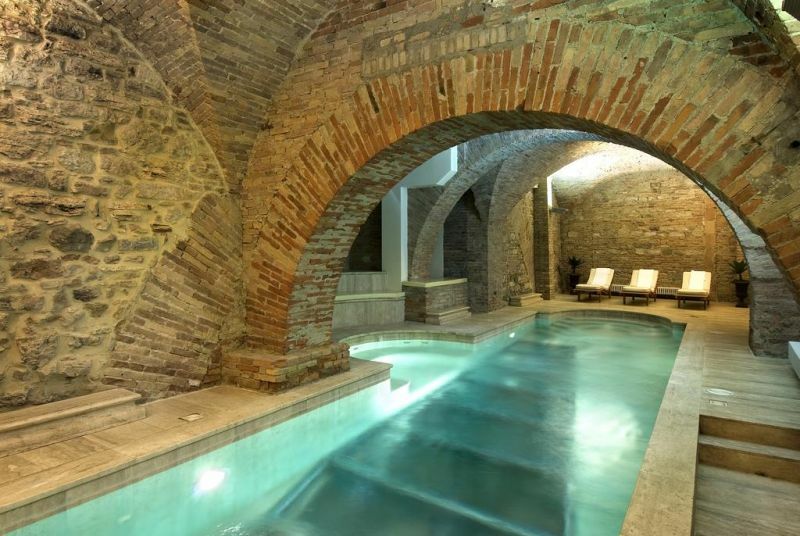 An historic 5-star hotel in a beautiful old city in Italy, what could be better? SINA Brufani Palace is situated in a unique location in the centre of Perugia and for over one hundred years has hosted royal families, politicians, and celebrities. 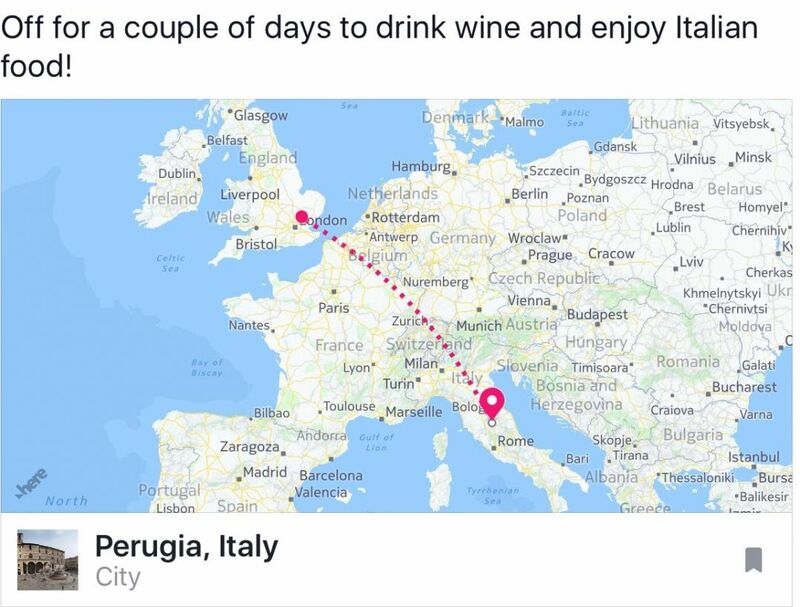 I chose Perugia for many reasons: the flight was from London Stanstead (STN) which is an easy airport to fly in and out of. 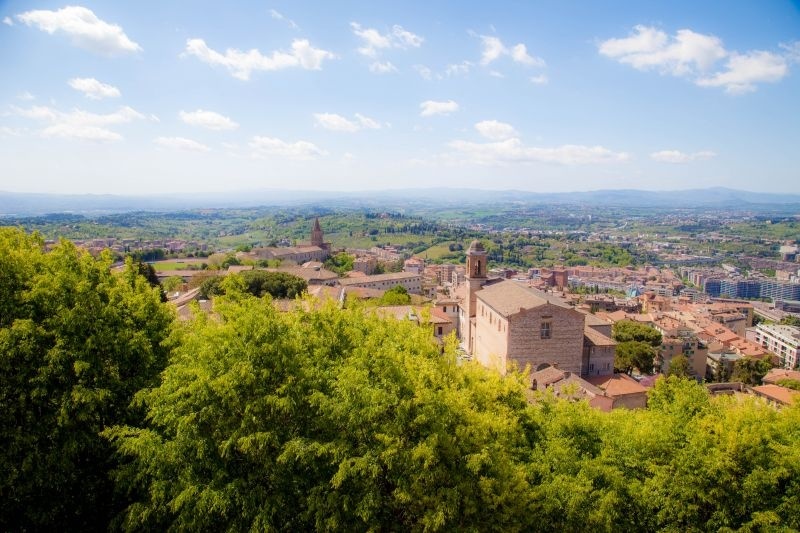 Perugia has its own airport (PEG) which is only twenty minutes by taxi or thirty minutes by public bus, so there would be no long transfers. 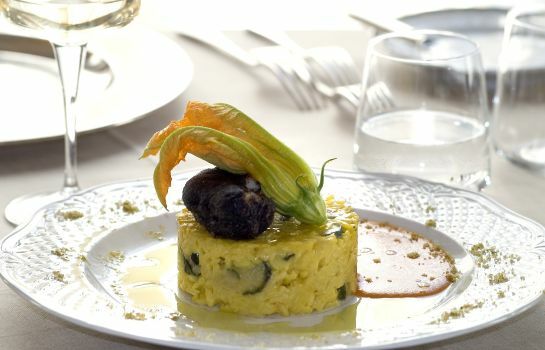 It also has a wine region that isn’t as well known as some of the others that Italy has to offer. If that wasn’t enough, it is located close to the historic places of Assisi and Gubbio so I could explore more of the beauty and history of Italy. Finally, it isn’t somewhere I had been before. I brought my girlfriend Deb along for this adventure. She was my partner in crime when I visited Barcelona. We had a blast and we are great traveling companions. She loves travel, wine, food, and fun just as much as I do, so we were all set. Arriving at the hotel we were both impressed. It sits at the edge of a hill and looks over the entire valley to the left, yet to its right is the town with all of the shops and restaurants, just steps away. We could simply stroll out and enjoy all of the shopping, sightseeing, and restaurants without even breaking a sweat. How perfect is that? This place has location, location, location! 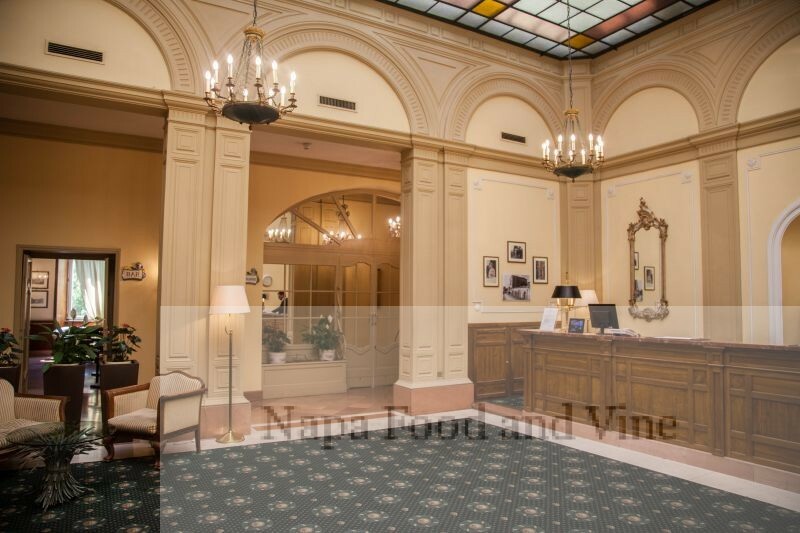 Coming into the hotel there is a nice reception area with marble flooring and a big wood counter. The representatives all spoke perfect English and were both charming and helpful when we asked about restaurants, transportation, and things to do. What I immediately liked about the hotel was the outstanding class of service. I knew this was going to be a wonderful stay before I even got to our room as each person we encountered at the hotel was warm, gracious, and efficient. You can’t ask for better than that. Our room was lovely. 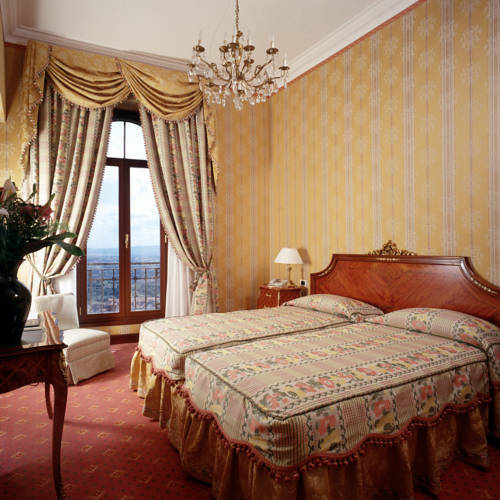 We had a large superior room with gold fabric wallpaper, twin beds, and a view that makes me want to weep just thinking about it. 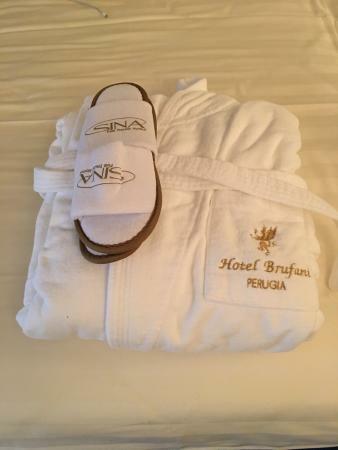 Our room had thoughtful little touches like white fluffy robes, slippers, and bottled water. The mini-bar was packed full of interesting things and there were jars of munchies for purchase. It felt as thought the hotel had thought of everything to make our stay perfect. Our room was comfortable with firm bed, featuring high threadcount sheets and nice linens, a comfortable reading chair and a vanity/desk area as well as complimentary wi-fi. Our room had air-conditioning, which is a great feature in an older hotel in Italy. The weather was so perfect while we were there, we just opened the window and enjoyed the fresh air and the amazing views. The view from our room was one of the most spectacular I have ever had. Our balcony overlooked the entire valley of Perugia. One of the nights we were there happened to be an Italian Liberation Day so we were treated to a fireworks spectacular right outside our window. 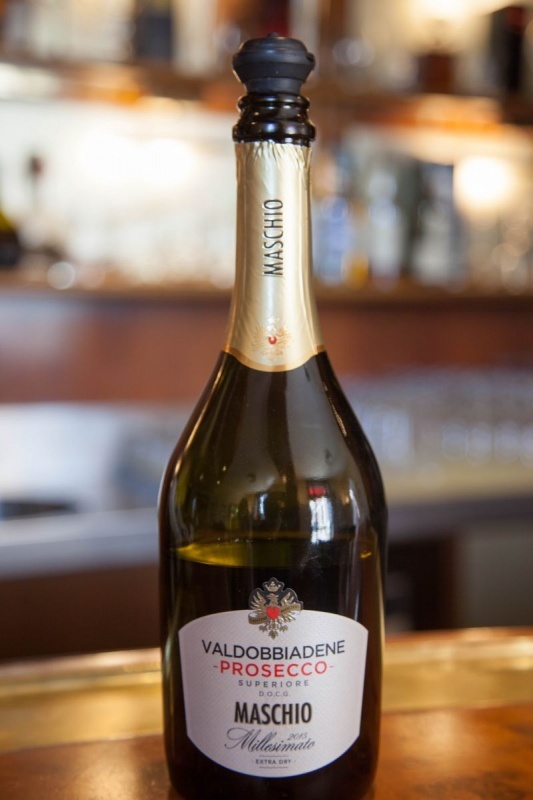 We, of course, took the opportunity to toast Italy with a bottle of Prosecco. 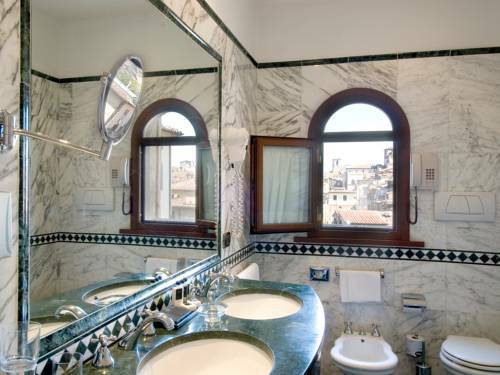 The bathroom in our room was all marble and featured a huge jacuzzi tub/shower combination, a toilet, and bidet along with a very generous sink area where two ladies wouldn’t have to fight over counter space or makeup mirror. It was all spotlessly clean and they provided plenty of towels on a heated towel bar. The vanity amenities provided were thoughtful with quality products. All of the spaces in the hotel were lovely and filled with charm. 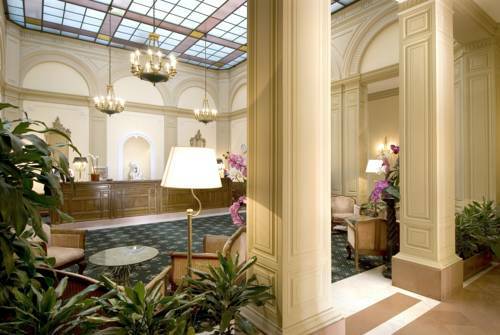 Parquet wood and marble floors, chandeliers, antique furnishings, and lush draperies give the hotel an old world classy feel. 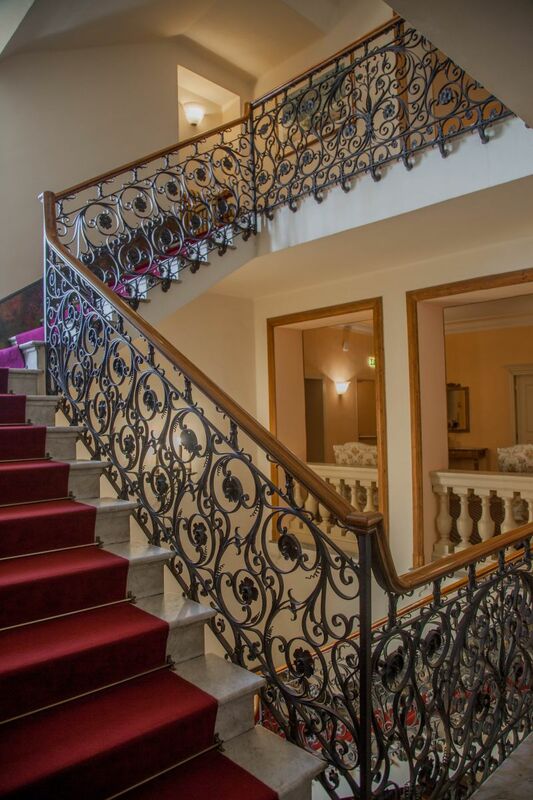 The staircases have gorgeous wrought iron detailing that we both loved. 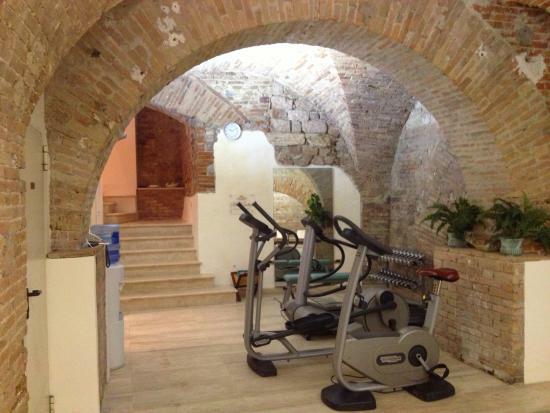 Our room came with access to the gym, Turkish spa, and pool. It was a wow! Built in underground caverns, I have to admit this was one of the coolest pools in which I have ever had the opportunity to swim. 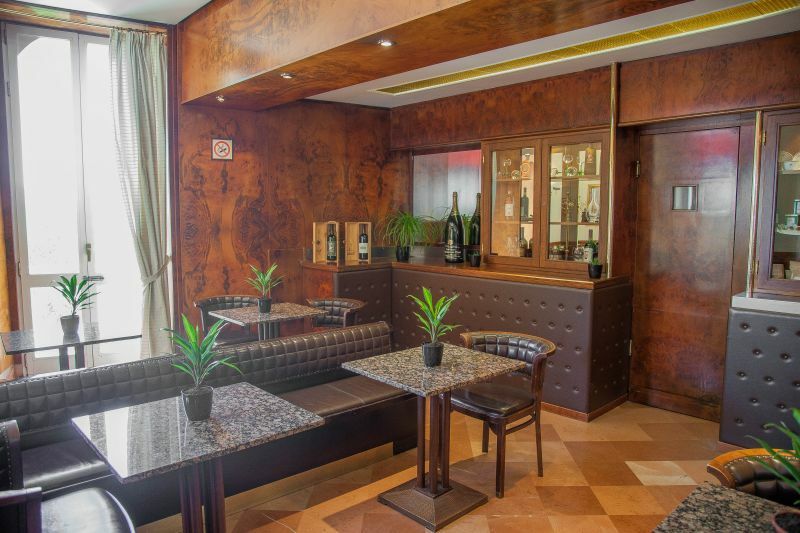 The bars in the hotel were distinctly different, yet still all beautiful Italian chic. 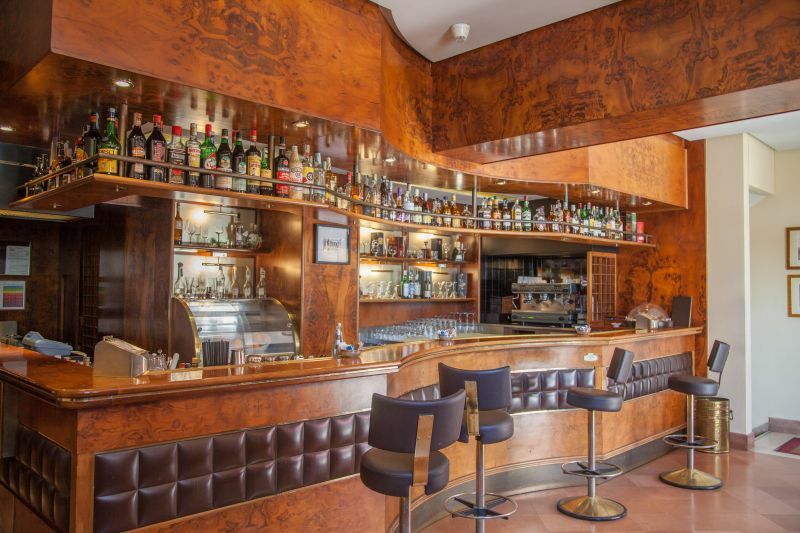 The main bar is art-deco influenced with its glossy wood and cool bar stools. There are booths and a little side room to sit and enjoy a drink after a long hard day of sightseeing, eating, and drinking. We, of course, took advantage and got to know a couple of the bartenders really well. There may or may not have been copious amounts of Prosecco consumed on this holiday along with the local wine, but I’m not telling. Deb even managed to drink her first martini in the main hotel bar. It was delicious and beautifully presented. The Brit comments: I beg to differ, this cocktail is prepared incorrectly. A Maritni should never have an even number of olives in it. 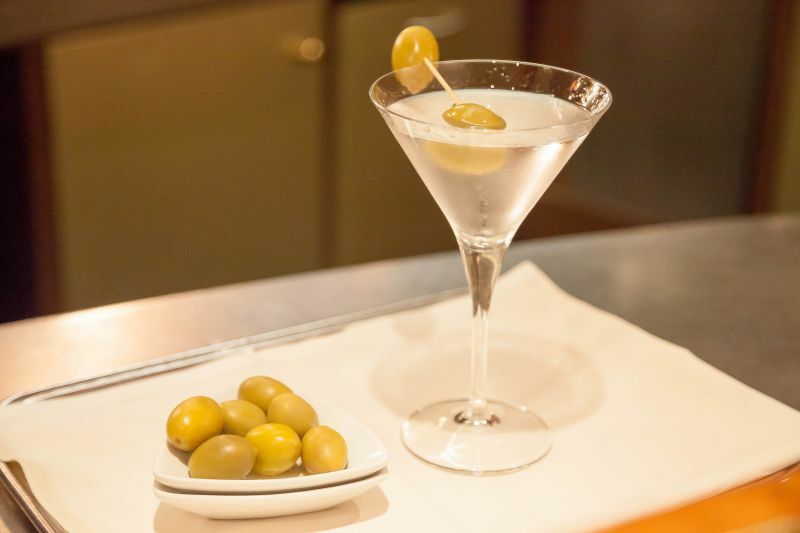 One of three olives is acceptable, two is a faux-pas. A note about bars and Italian hospitality: one thing that is interesting about the region, all of the bars serve you snacks to go with whatever you are drinking. I’m not just talking about a bowl of peanuts either. The bar at the Brufani laid out bowls of different chips, nuts of various types, crackers, and other nibbles. It was really pleasant to linger over our cocktails. Breakfast each day at the hotel was served buffet style in another gorgeous room with views overlooking the valley. They do offer cooked to order eggs from the kitchen, but other than that, everything was beautifully laid out in abundance on six large round tables. 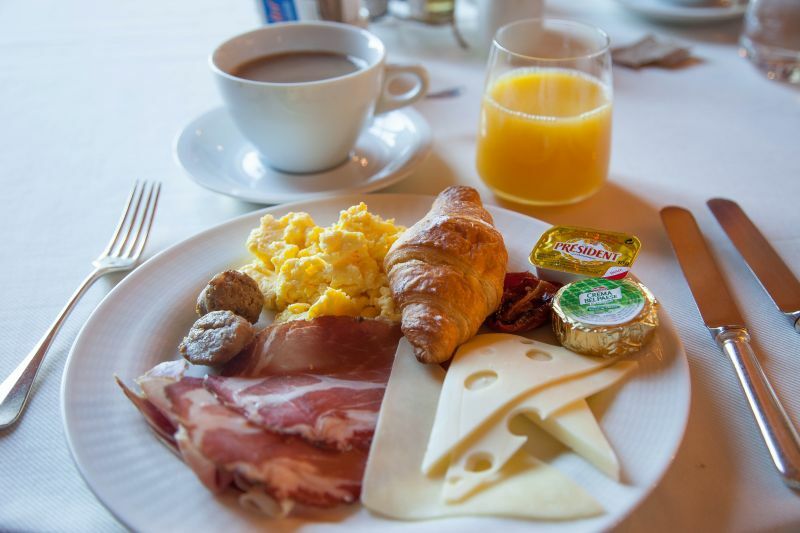 Cheeses, meats, yogurt, a selection of juices, cooked eggs, bacon, sausages, pastries, fruits, and different kinds of coffee filled the tables. Everything tasted fresh and delicious. It was really hard not to over indulge on all of the tasty items that were offered. I can just admit, it was an epic fail for me. Dinner at the hotel is an elegant affair. 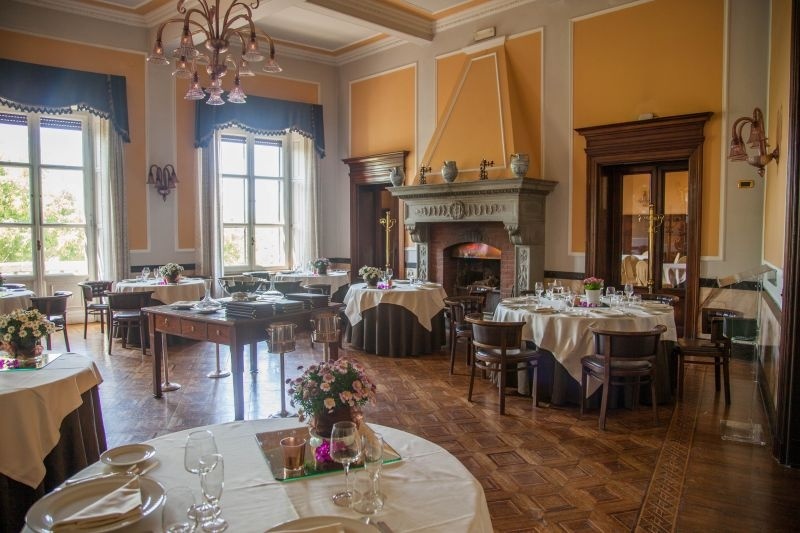 It is served in a small, intimate, yet graceful dining room that features an antique fireplace and wonderful service. I have to say that all of the food and drink I had at the hotel was both delicious and reasonably priced. We both commented on how affordable it was given its 5-star rating. This hotel has it all. Every single element of our stay was perfect. 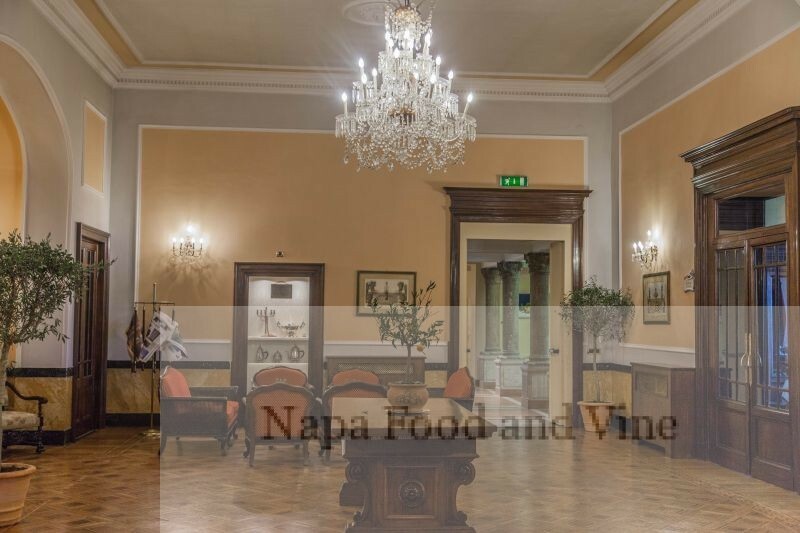 It combines quality, hospitaly, location, comfort and amazing food. 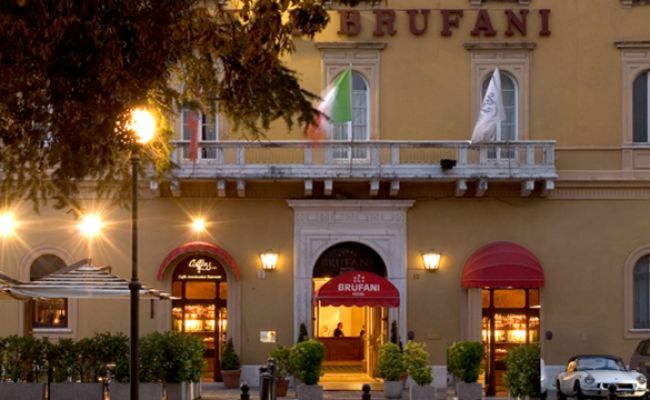 We highly recommend you book your vacation to Perugia, Italy and stay in the beautiful Sina Brufani Palace Hotel. What a beautiful hotel. The pool in the underground caverns is my favorite, that is unique and amazing! It truly was a spectacular stay!